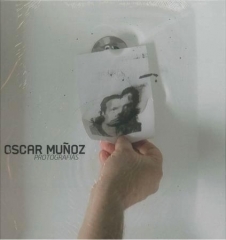 Oscar Muñoz,El Coleccionista, 2014-2015. 5HD synchronized video projections with sound, 52 minutes. Oscar Muñoz, Ciclope, 2011. HD/Blue Ray, single channel video with sound, looped, 12 minutes. 33.5 in. x 28.9 in. Oscar Muñoz, Narcisos secos Ed. 3/3 (Ed. of 3), 1999. Coal dust over Plexiglass - 9 pieces, 28 x 28 x 1 1/4 in. / 71 x 71 x 3 cm. 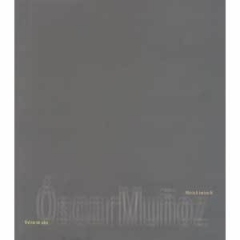 Oscar Muñoz, Libro abierto (con manos) (1 piece) Ed. 1/3 (Ed. of 3+2 AP), 2011. Impression with coal dust on methacrylate, 19 x 16 in. / 48.5 x 40.5 cm. Oscar Muñoz, El Coleccionista, Installation view, Sicardi Gallery, 2016. Oscar Muñoz, Installation view, Sicardi Gallery, 2012. Oscar Muñoz, Installation view, Sicardi Gallery, 2002. 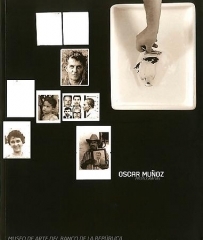 Oscar Muñoz, Re/trato, Installation view, Sicardi Gallery, 2002. 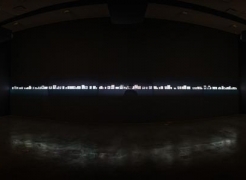 Oscar Muñoz, Narcisos, Installation view, The Graphic Unconscious, Philigrafika, 2010. Oscar Muñoz, Proyecto Para Memorial, Venice Biennale, 2007. Born in Popayán, Colombia, Oscar Muñoz studied art at the Escuela de Bellas Artes in Cali in the 1970s. As an art student, he began making drawings based on photographic images and, although his studies did not specifically include photography or audiovisual media, these media and their relationships to reality and meaning-making have subsequently become central to his artistic practice. 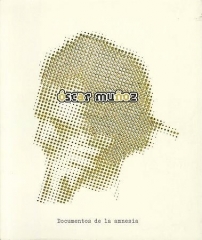 Muñoz is also known for his use of ephemeral materials, in poetic reflections upon memory and mortality. For example, Aliento (1995-2002) consists of a series of seemingly blank mirrors. However, when the viewer comes close to them and breathes on them, subtle obituary portraits emerge momentarily on the surface. 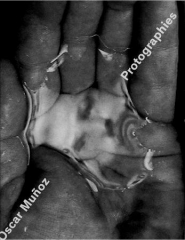 Muñoz’s video Re/trato (2004) shows the artist painting a self-portrait with water. 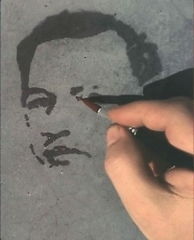 As the water makes contact with the hot pavement Muñoz is painting on, the portrait vanishes. Muñoz often bridges the media of film, video, photography, installation, and sculpture. In 2006, Muñoz founded lugar a dudas, a cultural center and residency program for artists. Located in Cali, lugar a dudas (space for doubts) has become a center for young artists to work through ideas and participate in a dialogue and public debate about art and politics.